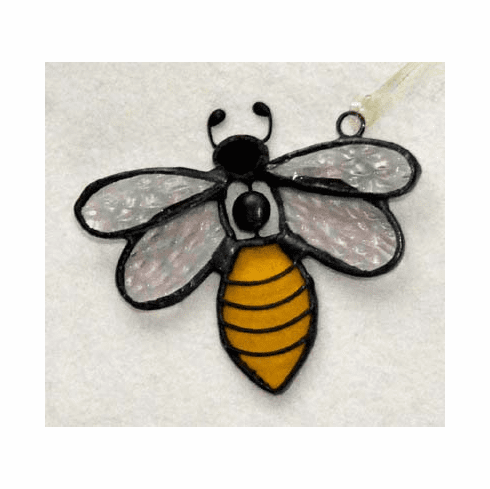 Bee Art Glass Suncatcher - Tribute to the bees, made with iridescent glass wings and a colorful sungold glass body, our Bee Suncatcher lights up your windows on sunny days. Complete with a suction cup hanger. Measures 3" by 2-1/2".